Firefox gets a new Facebook Messenger – Firefox Marketplace released! Firefox users can now directly chat with their Facebook friends, right from the browser without opening the site. 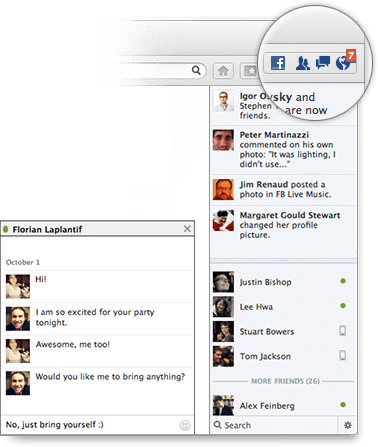 Facebook Messenger for Firefox lets users to directly chat with Facebook friends inside the web browser. It is the first app to use the Social API. The API provides better integration of Social Apps with Firefox and can be used to integrate apps like Facebook, Twitter, etc. directly into the browser. The look and feel of the Firefox Facebook Messenger is similar to the Messenger for Windows and if you have used Facebook Chat, you won’t find it difficult to get used to it. Once you click “Turn On” in the Facebook Messenger Page, the Messenger App icons (Requests, Messages and Notifications) appear on the top right corner next to the Firefox Search Bar and you can see the familiar Friends’ List on the right side of the browser along with the Facebook Ticker. When you click a friend on the list, a chat box opens at the bottom of the browser similar to the one on Facebook. If you are on Facebook, however, the Messenger App merges with the site and you can see the similar Facebook Chat on the right side of your Facebook Page. The Firefox Facebook Messenger works with the latest version of Firefox Aurora (Nightly Build). We tried installing it in the latest version of Mozilla Firefox 17 Beta (the link provided in the official Facebook Messenger page) but there were some problems in integrating the Messenger into the browser . However, the Messenger works fine in Firefox Aurora. If you face any problems with the Messenger on Firefox, try it on Firefox Aurora. So enjoy Facebook Chat right from your Firefox browser. Turn On the Messenger for Firefox. Download the latest Firefox Aurora. Firefox launched the first Aurora release of the Firefox Marketplace (Aurora Marketplace) for the users of Firefox for Android Aurora. The release also lets developers get feedback and will help to pave the way for future of the Marketplace, Beta and Firefox OS. The Aurora Marketplace features apps in various areas like Games, Productivity and News & Media. Some of these apps include SoundCloud, Distant Orbit, Jauntly and Twitter. The Firefox Marketplace still in a development phase and more work needs to be done. Features like payments, reviews, ratings and more to be added soon. 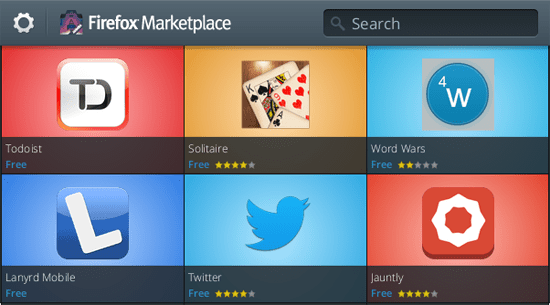 The Marketplace is initially available with Firefox for Android Aurora. Launch of the Marketplace for Firefox on other platforms has been scheduled later. 1. Download Aurora on your Android device. 2. Open up Aurora, go to Apps (Tools >> Apps) to launch Aurora Marketplace. 3. Browse and install Apps from the MarletPlace. 4. Click Options >> Settings >> Feedback to provide feedback to the developers. Enjoy Firefox for Android Aurora!